We recommend using Lyft navigation, built with Google Maps, to determine the best routes during rides. You'll be able to navigate without leaving the app, in addition to seeing real-time traffic reports and using night mode. 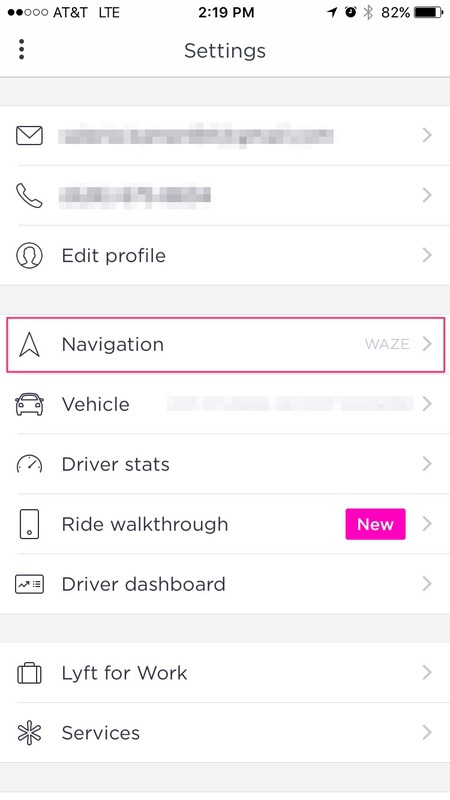 You can also use Waze, but you'll have to switch between apps while navigating. Toggle the 'Auto Navigation' on to let the app switch back and forth between your driving and navigation flows. You can also select a preferred navigation app. If you're having trouble, make sure your app and operating systems are updated. Learn more about phone software recommendations and settings. Pro tip: Restart your device any time you've updated your app version and operating system. Additionally, close other apps while using Lyft to help the app run smoothly, prevent connectivity errors, and dedicate the app to your GPS provider of choice. For help with Google Maps, head to the Google Maps Help Center. For help with Waze, head to the Waze Help Center.